Below are the details – well worth noting, bookmarking and etching on your brain as if you don’t already use it, one day you will. Thank you to Clare for her dedication and persistence in sharing. ¡Eres una estrella! It’s lovely when someone leaves a comment on my blog as it tells me that I’m not writing into a vacuum, and whilst people share my posts often on Twitter and/or Facebook, actual comments are more rare. So I was really pleased that my last post received one from César in USA. 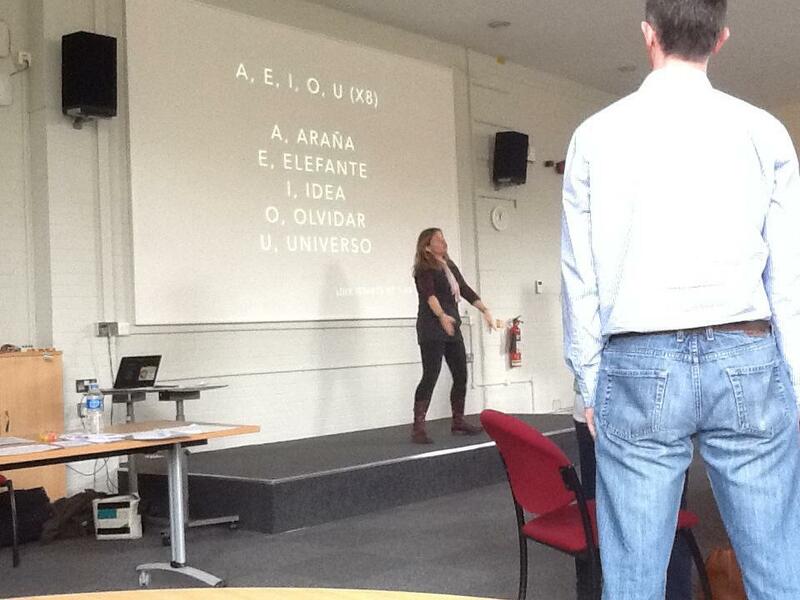 And it lead me to his Soundcloud and some wonderful songs for teaching and learning Spanish. I love the clear repetitive lyrics, and also the ‘sound’ – it reminds me of Los Nikis which is not your usual vibe for ‘educational songs’. I came across this website earlier when searching for something else and thought I’d share it. 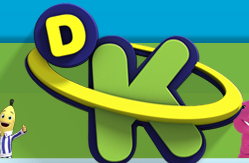 TuDiscoveryKids is the website for DiscoveryKids in Latin America and features all sorts of activities in Spanish linked to some of their programmes. I thought I’d highlight a few that you might find interesting! 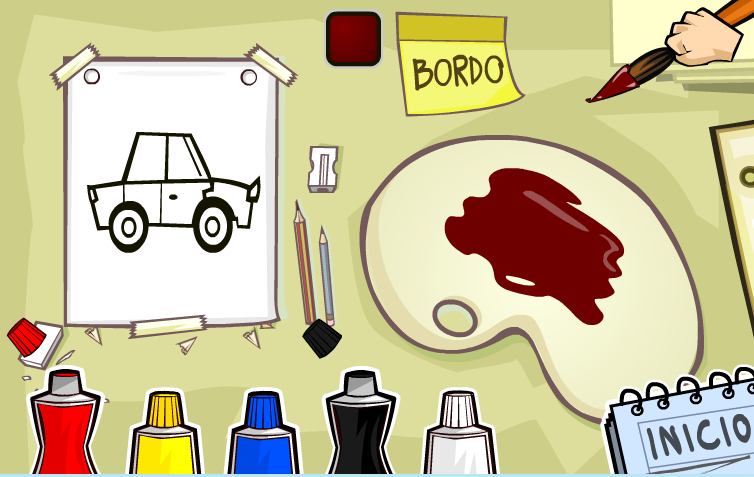 In this game, learners are given five tubes of paint and challenged to make the colour indicated – in the example above ‘bordo’ or burgundy. They squeeze the tubes to squirt the paint onto the palette, use the paintbrush to mix the colour and then paint the picture with the colour they mixed. Great for linking to colour blending in art. In this game, the crane challenges you to complete words by finding the missing consonants. The letters are then hoisted into the word and the crane repeats the sound and tells you if you’re correct. 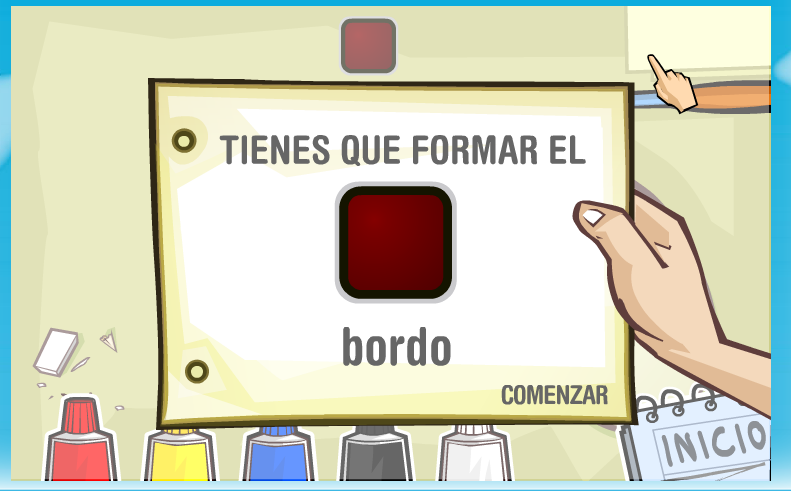 Then you are asked a yes/no question about consonants and vowels before being given another challenge. 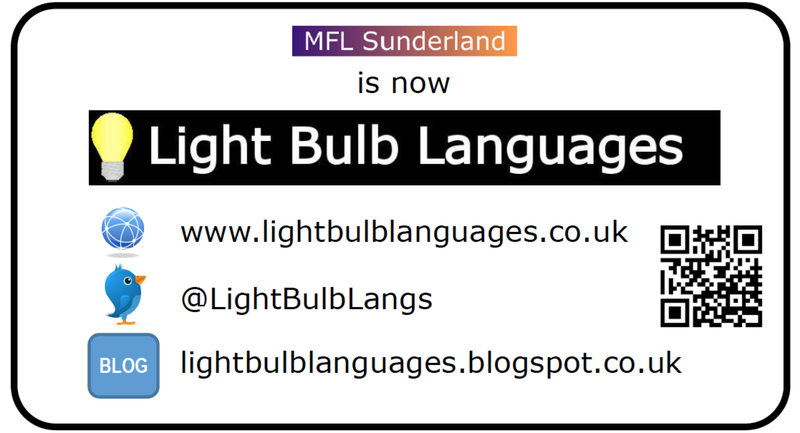 Great for looking at sound/letter link. 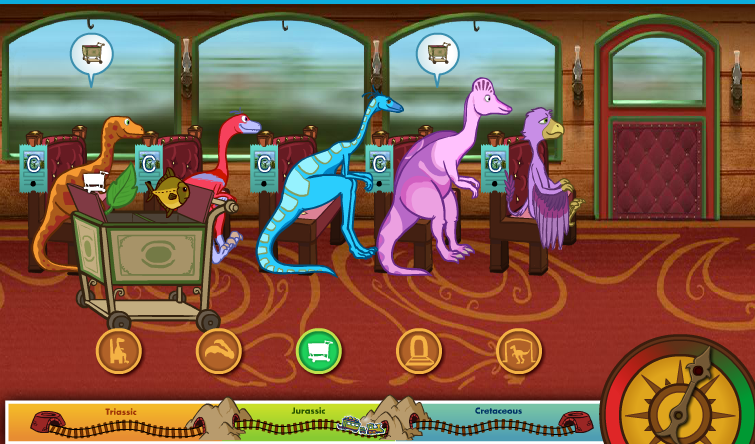 A game for dinosaur fans – and every class has them! 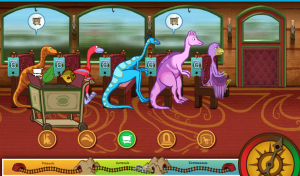 The dinosaurs travel from Triassic to Jurassic to Cretaceous period and you are in charge of showing the dinosaurs to their seats, checking the tickets, feeding them and making sure that they get off in the correct period. 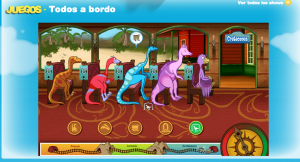 As you go, you learn what type of food the dinosaurs eat and also in which time period they belong. 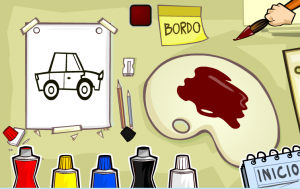 This game links to your senses and asks you to choose from three objects that match a description e.g. 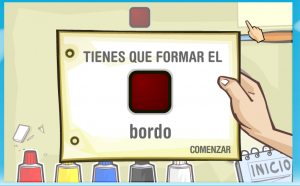 Algo que tiene olor – something that smells or algo brillante – something shiny, and then decide which sense you would use to find out. 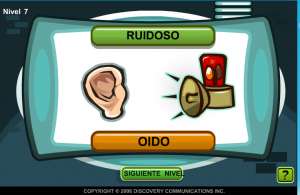 As you play, you can learn the names of the objects from which you select, increase your knowledge of adjectives, and also consider your senses. 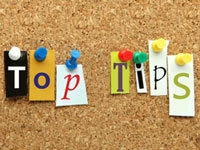 You need to be careful as well not choose the correct sense for the adjective e.g. 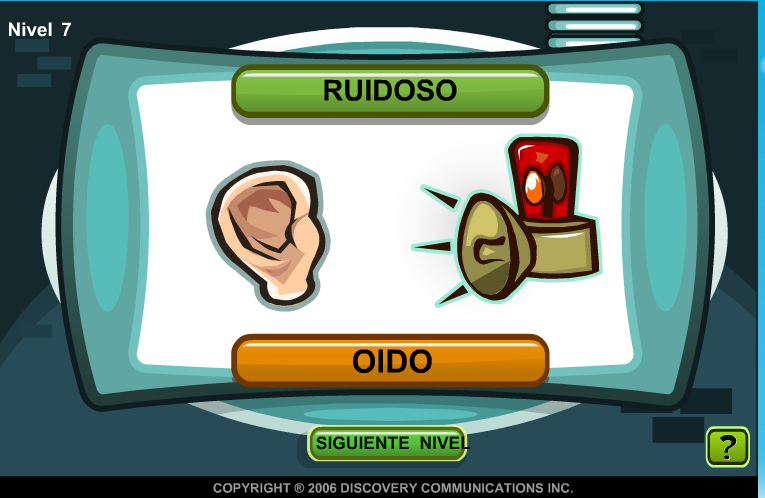 I had to find something ‘silencioso’ (silent) which was ‘una pluma’ (a feather), and this linked to ‘Oido’ – hearing rather than touch which you might have chosen had the adjective been ‘suave’ – soft. A fun link to science! Each game also has links to other activities that have a link – for example, a video called Masa repugnante is suggested for this game which links to a video about an experiment to make a gooey yucky dough! And there are also articles that would be of interest to educators and parents. This one links to the game above. 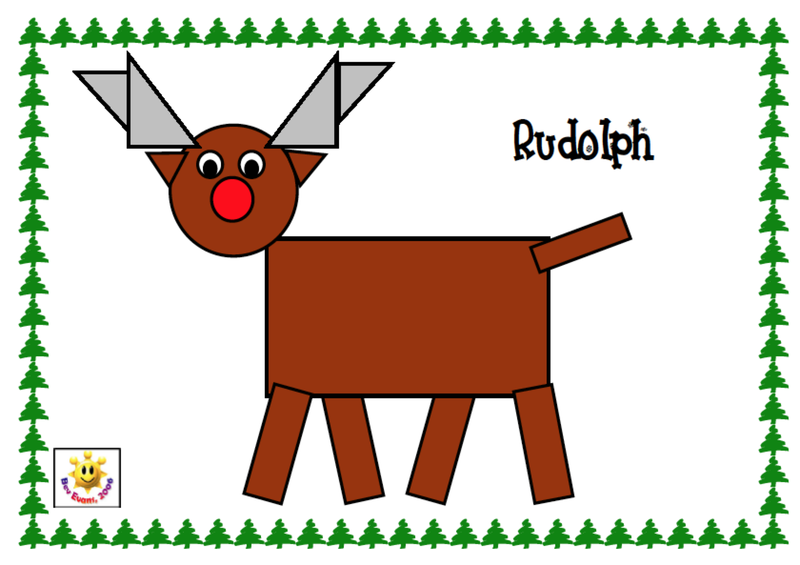 This is a very simple game that wants you to indicate the animal that makes a certain sound by clicking on the animal. 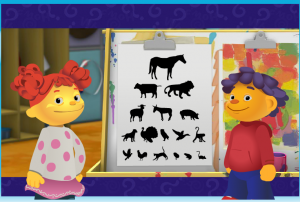 This is made harder by the animals being in silhouette on what looks like a sight chart! 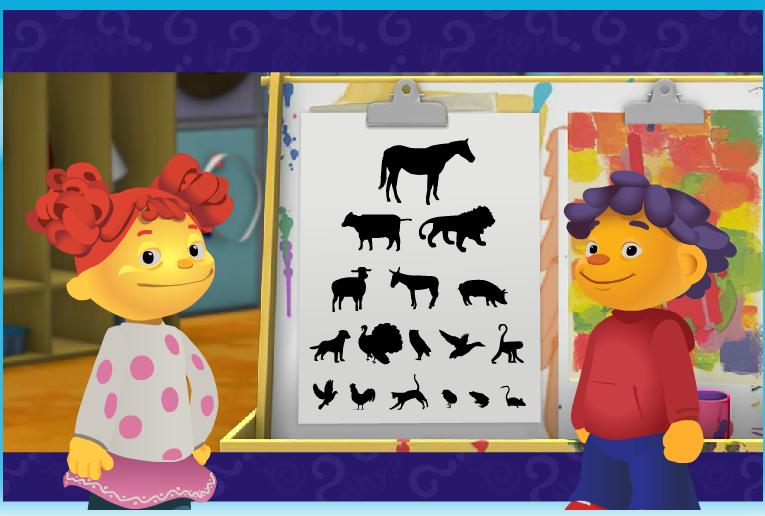 A fun game that could be played when discussing animals as well as when thinking about how languages have similarities and differences. Our final example is accessed via the image of a library where you click on the book you’d like to read. The book is read to you but there is a missing word in the text. In the first example, there are three images from which to choose to fill the gap; in the second you have to choose the word that has the syllables correctly ordered. A fun way of keeping attention if you are using the story with the whole class as well as a little challenge for an individual reader. I hope you’ll investigate the site more yourself – there are many more games and activities that merit attention. Perhaps I’ll come back with a follow up post in the future to explore further! 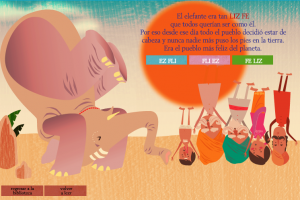 Just rediscovered a lovely website for stories in Spanish. 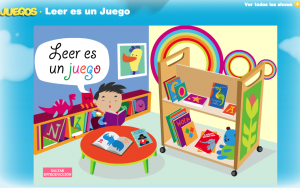 La Biblioteca Infantil and La Biblioteca Pre-Escolar are great for native speakers and young learners alike with stories on a variety of themes complete with accompanying activities. 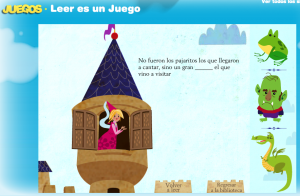 For example, La Pelota Dorada in La Biblioteca Infantil is a story based on a fairytale (won’t give away which one!) in which you can name the princess, the prince and also the hero which you choose from a duck, a beaver or a tortoise. The story has passages of text to read and sections of dialogue that appear in speech bubbles and are read to you. Accompanying the story is an activity – in this case a ‘Find the difference’ – and also a list of books on a similar theme. 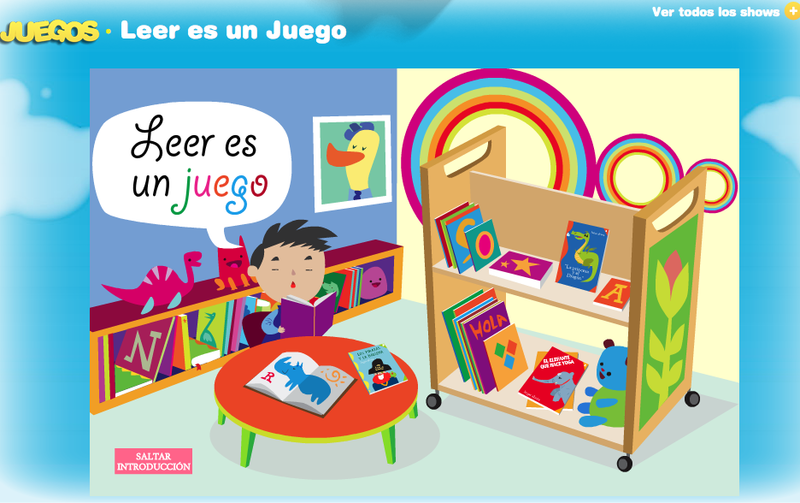 In La Biblioteca Pre-Escolar the stories are more simple and are all read aloud to the reader. In El canto del corral features a little girl who wants to sing but everyone is too busy until he goes into the farmyard. 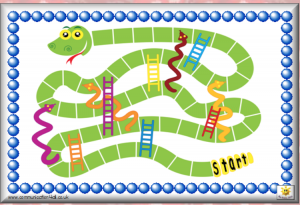 To accompnay the story there is an online activity – choosing musical instruments – and a craft activity as well as a list of books ona similar theme. There aren’t a huge number of stories, however they are on a variety of themes that are suitable for integration into the primary curriculum, particularly in the EYFS / PSHE areas. 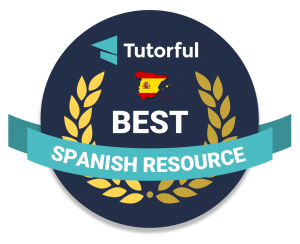 The site also exists in English so good for comparing language, and also for the less confident Spanish speaker who wants to check out the meaning of the story!